If you work with Zymoseptoria tritici genes, we’re looking for your help. We need people to get involved with community annotation of genes. We’re excited to be trying a new conference this year: the African Society of Human Genetics (AfSHG) conference in collaboration with H3Africa, in Kigali Rwanda, 19th-21st September. The conference is a fantastic opportunity for African scientists to showcase their work, build collaborations and learn more about their field of research. For us, it’s great to see what research is going on outside of our usual sphere, as well as to promote our free database and training to researchers who could benefit from it. This guest blog is a joint contribution by Laura Harris (GWAS Catalog) and Astrid Gall (Ensembl Outreach). You can contact our colleagues of the GWAS Catalog at gwas-info[at]ebi.ac.uk. This year marks a special anniversary for the GWAS Catalog, as we have reached ten years since our launch in 2008. The GWAS Catalog is a widely used publicly available resource of all published human genome wide association studies (GWAS) and association results. Each GWAS study contains a wealth of information which is effectively inaccessible to researchers and clinicians without them spending a lot of time undertaking regular systematic reviews of the literature. This is where we can help you! 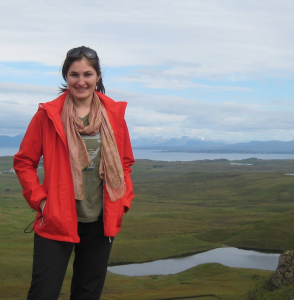 This month we’re getting to know Mag, who is the Ensembl Core Senior Project Leader. Read on to find out more about her career path and what she gets up to in her day-to-day role! Do you use transcripts for your work? 10th April 2018 by Emily (Outreach)·Comments Off on Do you use transcripts for your work? Ensembl and NCBI have been working to align the GENCODE and RefSeq reference transcripts. As part of that effort, we are also developing plans to define a primary transcript for every gene as well as a minimal set of clinically relevant transcripts. To guide that effort, we have developed a small survey to get input on how to define the primary transcript and whether this would be important to your work. The survey should only take 10 minutes or less and you will have the opportunity to sign up for follow-up info about this project if you are interested. 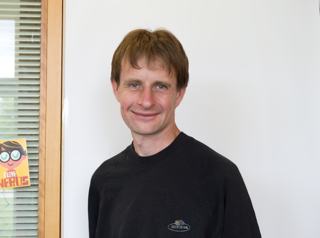 This month we are meeting Jonathan Mudge who is the Annotation Project Leader in the HAVANA group.